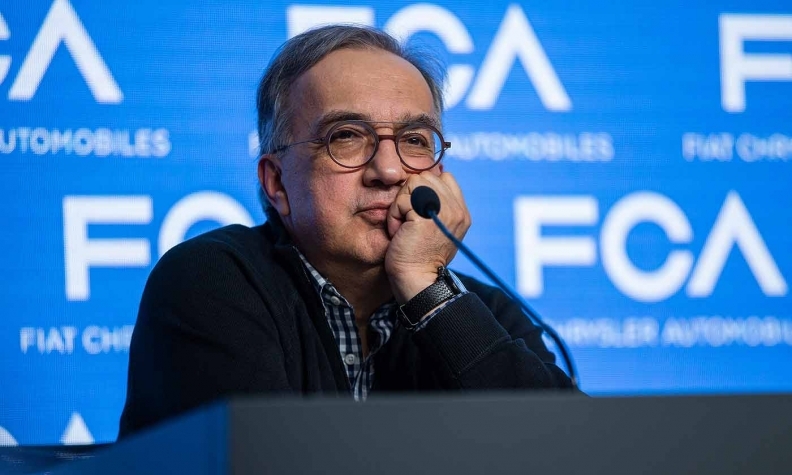 Sergio Marchionne at a press briefing following the presentation of Fiat Chrysler's five-year business plan on June 1, 2018, near Turin, Italy. He died on July 25 at age 66. A memorial mass in Italy for deceased Fiat Chrysler Automobiles CEO Sergio Marchionne has been scheduled for 11 a.m. Sept. 14 at the Turin Cathedral, with a separate memorial service planned Sept. 27 at FCA's North American headquarters in Auburn Hills, Mich., the automaker said Wednesday. Marchionne, who had been CEO of the automaker since 2004, died July 25 after complications following surgery. He was 66. Archbishop Cesare Nosiglia is scheduled to lead the funeral mass in Italy, which is open to the public, FCA said. The company did not clarify whether the second memorial service would be open to the public, or only to FCA employees and company-invited guests.